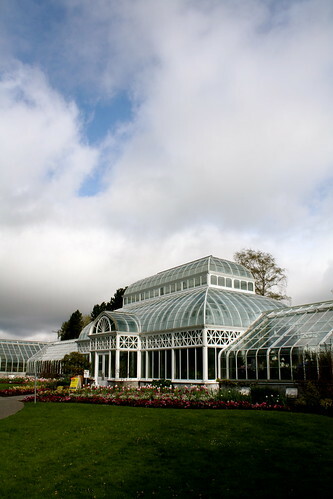 The Volunteer Park Conservatory will celebrate its centennial in 2012. This Saturday, its supporters are beginning a campaign to give it a rather significant 100th birthday present. 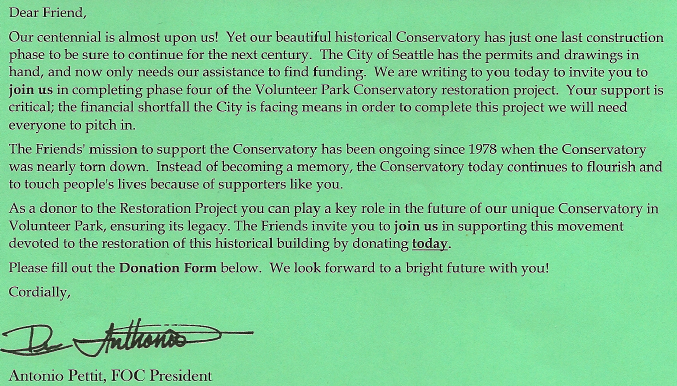 Representatives for the Friends of the Conservatory group tell CHS that they are kicking off a drive to raise $3.5 million to complete an overhaul of the Seattle Parks-operated greenhouse that began way back in 1993. The unfinished work on the Conservatory has left the Seasonal House, the Cactus House and the working area in the East Greenhouse in need of significant restoration. The rest of the Conservatory was transitioned to aluminum framing in previous work but the wood in the remaining sections won’t last much longer, Brumett Meade says. According to the Friends group, timing on the project is an issue for two reasons. First, the permit approved to complete the work in 2010 expires next summer — though it may be possible to apply for an extension, Brumett Meade said. But the Friends group is also concerned for a second reason. 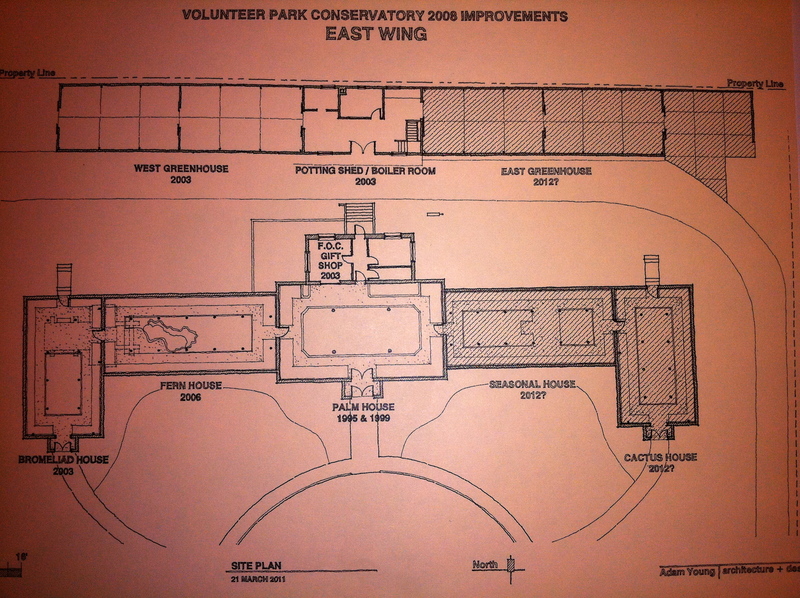 As during last year’s annual meeting, concerns about possible declining support from Seattle Parks for the 1912 facility were again a major topic at the 2011 Friends of the Conservatory meeting. The group will begin the push to keep the Conservatory alive — and growing — at their 2011 spring flower sale this Saturday, May 7th, at the park. Your purchases will help support the effort and you can learn more about giving at a more significant level and helping to spread the word. The sale runs from 10 AM to 3 PM on Saturday. The plans have been ready for years — the cash, unfortunately, hasn’t. 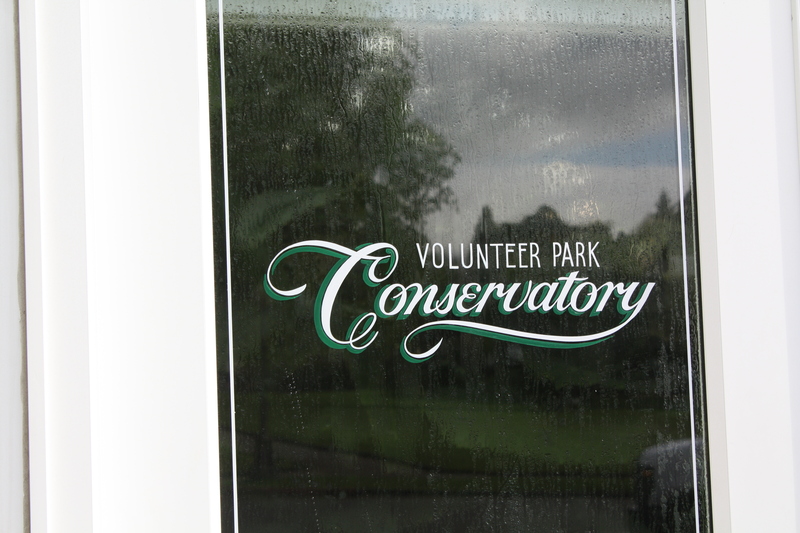 For more information and to give online, visit http://www.volunteerparkconservatory.org/.